Thrissur, Jan 28: “As long as I am there, I shall not allow corruption. 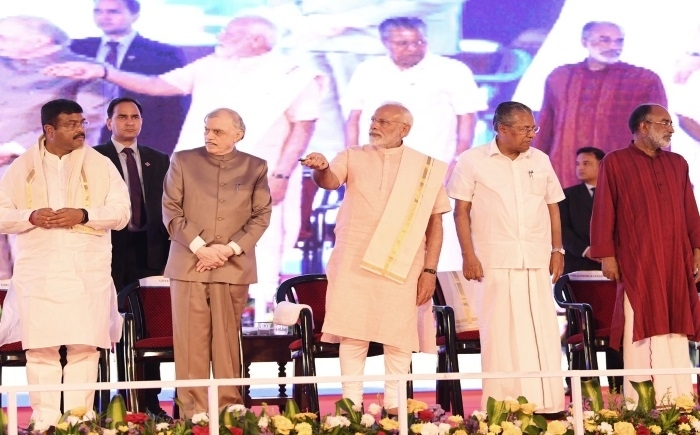 I shall not allow the nation’s culture and unity to be destroyed”, assured PM Modi at Thrissur while attacking the self-interested government on Sunday. Prime Minister Narendra Modi addressing the public in Thrissur. On Sunday, Prime Minister Narendra Modi dedicated to the nation integrated Bharat Petroleum Corporation Ltd (BPCL) refinery expansion complex, built at a cost of Rs. 16,504 crore, the single largest investment in Kerala. He also laid the foundation stone for a petrochemical complex, which was a complete “Make in India” initiative aimed at reducing dependence on imports. He stated, More than two decades ago, a hardworking and patriotic ISRO scientist, Nambi Narayanan was implicated in a false case, just because few UDF leaders were settling the political case. Further, he said, India’s energy needs are growing and so we’ve sped development of oil and gas infrastructure.